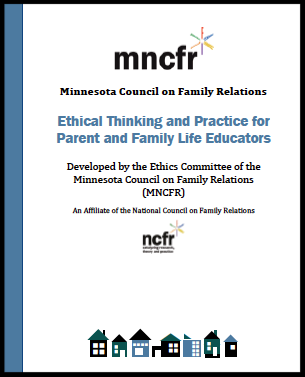 The Minnesota Council on Family Relations is dedicated to strengthening families through continuing education, support and connection of professionals and students who are engaged in family education, policy, research and services. 2016 Ethical Thinking and Practice for Parent and Family Educators Now Available. Order Yours Today! MNCFR 2018 Fall Conference a Success!